Professor Tric: My First History Conference! 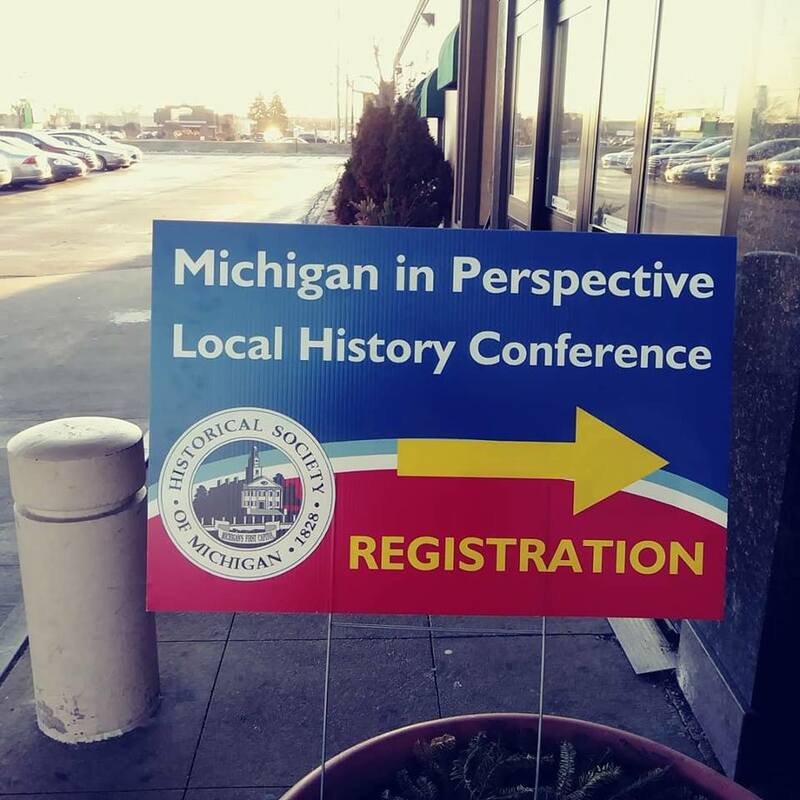 This week I attended my first ever history conference. It was something that I have wanted to do for years, but my comic book convention schedule didn't permit it. Since it was my first conference, I decided to attend one near my house and I have to say that I couldn't have chosen a better conference if I tried. 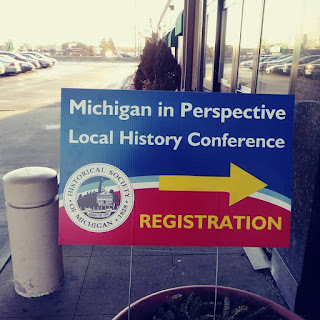 Michigan in Perspective is a well organized and informative conference that focuses on little known Michigan History (I'll write reviews for the breakout sessions in the next post). The conference was presented by the Historical Society of Michigan. 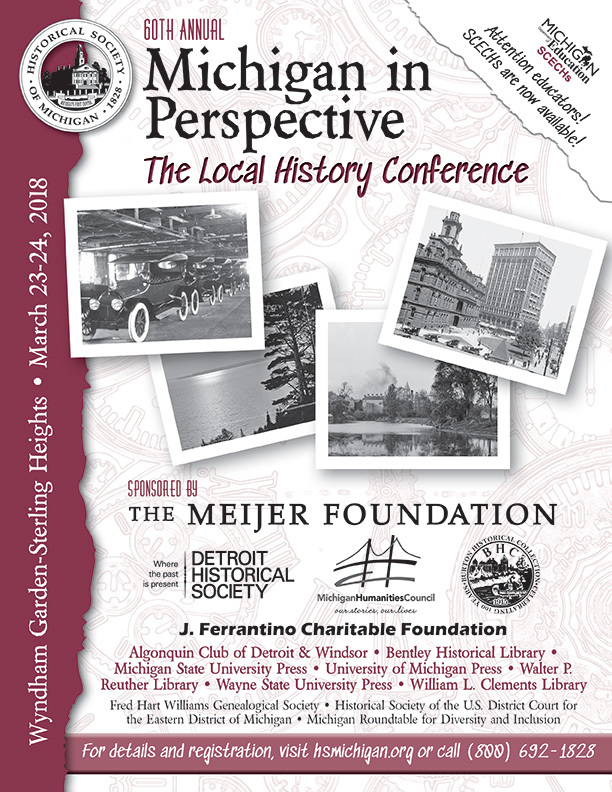 This is an amazing group that is truly dedicated to sharing the rich history of the Great Lakes State with residents, visitors, and historians. Everyone on the staff was friendly and helpful. They did everything imaginable to make this event an excellent experience. 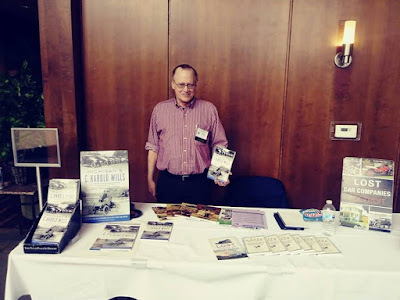 At the conference I was pleased to run into my old friend, Alan Dean Naldrett. He's a phenomenal historical writer that focuses mostly on automotive history and the history of Michigan. His books are extremely well researched and are a joy to read. Needless to say, I make sure to pick up his latest book whenever I have the pleasure of seeing him at an event. Another awesome thing I picked up this weekend was my Macomb County History Passport. Whenever I visit one of the local museums here in Macomb County Michigan I get a stamp in my passport. After seven stamps I can redeem it for a delicious meal at Culvers. I love to attend museums and I love the delicious hamburgers and shakes at Culvers to this was a win-win situation. It was an amazing weekend. 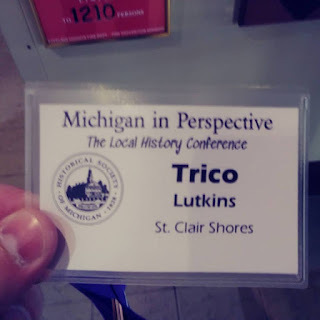 I got to meet some brilliant fellow historians and more importantly, I got to be a part of a community of people who are dedicated to preserving our history for future generations. I can't wait for next year.